Are you getting a bit bored with the sun in Spain or the snow in Switzerland? Maybe the sights of California or the sounds of New Orleans are getting a bit too familiar. According to the Office For National Statistics, 72.8 million Brits went abroad in 2017. That’s three per cent more than the previous year and yet close to 50 per cent of those trips abroad were to destinations the traveller visited the previous year. There’s definitely a comfort in going to the same place each year but travelling broadens the mind if you see and experience something new each time. If you’re getting a little bored of the same old tourist destinations and you’re looking for a change, why not consider going to Dubrovnik in Croatia? Holidays to Croatia are much more popular nowadays than they’ve ever been. There’s so much to see and do in destinations like Split, Zagreb, Istria and the Dalmatian Coast, but the city of Dubrovnik on the Adriatic Sea offers some of the country’s greatest history and culture, combined with great views and beautiful beaches. In fact, there’s so much to see and do that making this Croatian city your holiday destination for a few consecutive years won’t leave you bored by the same experiences every summer. Most visitors holiday between Easter and the end of October, but there’s also lots to see if you visit during the winter months. You’ll make the most of your visit to Dubrovnik if you plan your holiday with https://www.accessdubrovnik.com. There are lots of classic walking tours that will show you the best tourist spots or discovery tours that uncover some of the best history and architecture that you won’t find on your own. What about a sea kayak tour of the place in which you paddle a kayak around the medieval walls on your way to Lokrum Island? Or you could try taking the two-hour drive to Mostar in an air-conditioned mini-bus as a guide tells you about Mostar and the Kravice Waterfalls. Perhaps the number one reason to visit Dubrovnik is to see the locations used to film much of Game of Thrones. Again, an organised tour is best for this as you’ll get commentary from an expert who will remind even the biggest Thrones fans of the events in the series that were filmed in various locations across the Croatian city. 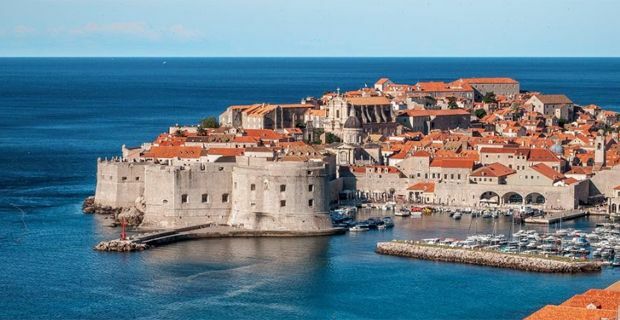 The city was the main location used to film scenes set in King's Landing and you’ll also be able to visit Dubrovnik West Harbour which was filmed as Blackwater Bay or Fort Lovrijenac which anyone who’s watched the HBO show will recognise as Red Keep in King’s Landing. Fans of the show will also want to visit Gradac Park where the Purple Wedding was filmed and Minceta Tower which was used as the House of the Undying in Qarth during season 2.